Angiotensin converting enzyme (ACE) inhibitors are oral medications that lower blood pressure. ACE inhibitors are used to treat hypertension (high blood pressure), coronary artery disease and heart failure, and to help to control the progression of diabetes and kidney disease. These disease processes tend to go hand in hand; high blood pressure is very common among people with diabetes. High blood pressure also contributes to the development of diabetic nephropathy (kidney disease). Furthermore, those with diabetes tend to have worse outcomes (longer hospitalizations, longer recovery times and higher risks of infection) from major heart problems. Therefore, health-care providers treat hypertension in concert with diabetes. While ACE inhibitors don't directly lower blood sugar, they can contribute to blood sugar control by increasing the body’s sensitivity to insulin. Insulin helps the body metabolize glucose (sugar) and move it from the bloodstream into cells, where it acts as a source of energy. Many ACE inhibitors are available in the United States, including Capoten (captopril), Prinivil and Zestril (lisinopril), Vasotec (enalapril), Lotensin (benazepril), Altace (ramipril), Accupril (quinapril), Monopril (fosinopril), Mavik (trandolapril), Aceon (perindopril) and Univasc (moexipril). ACE inhibitors have been FDA-approved for treating hypertension since 1981. Over time, ACE inhibitor use has expanded dramatically to treat cardiovascular disease and related conditions. ACE inhibitors lower blood pressure by preventing the body from producing the hormone angiotensin II. Angiotensin II causes vasoconstriction (narrowing of blood vessels) and fluid retention, resulting in hypertension. By reducing blood pressure and fluid retention, ACE inhibitors help to control heart failure. ACE inhibitors may also prevent and control diabetic nephropathy (kidney disease) and help control diabetic retinopathy (eye problems). ACE inhibitors do not slow the heartbeat or directly lower blood sugar. People with very low blood pressure (hypotension), or who have had an allergy or cough related to ACE inhibitors, should not use ACE inhibitors. Neither should those with renal artery stenosis, pregnant women, and women trying to conceive. People with significant kidney damage require adjusted dosing of ACE inhibitors. All blood pressure medications carry a risk of hypotension, with symptoms including lightheadedness, dizziness, nausea, sweating and possible loss of consciousness. Rarely, ACE inhibitors can cause low blood sugar (hypoglycemia). This occurs in people with diabetes who have blood sugar levels that are otherwise well-controlled by diet and other antidiabetic medications. ACE inhibitors can cause coughing in some individuals. If this occurs, they should discuss this with their health-care providers, who may substitute different blood pressure medications. ACE inhibitors may help prevent the onset of type 2 diabetes. In addition, ACE inhibitors may help control abnormal heart rhythms, particularly when used after a heart attack. ACE inhibitors are used off-label in the treatment of such diseases as rheumatoid arthritis, migraines, Raynaud’s phenomenon and Bartter syndrome. Angiotensin receptor blockers (ARBs) are similar to ACE inhibitors. People who are allergic to ACE inhibitors or who develop a cough related to ACE inhibitors can often switch to ARBs with good effect. People with diabetes should always tell their health care providers about all other prescription and over-the-counter medications, as well as any herbs and supplements currently being used, before starting to take ACE inhibitors. 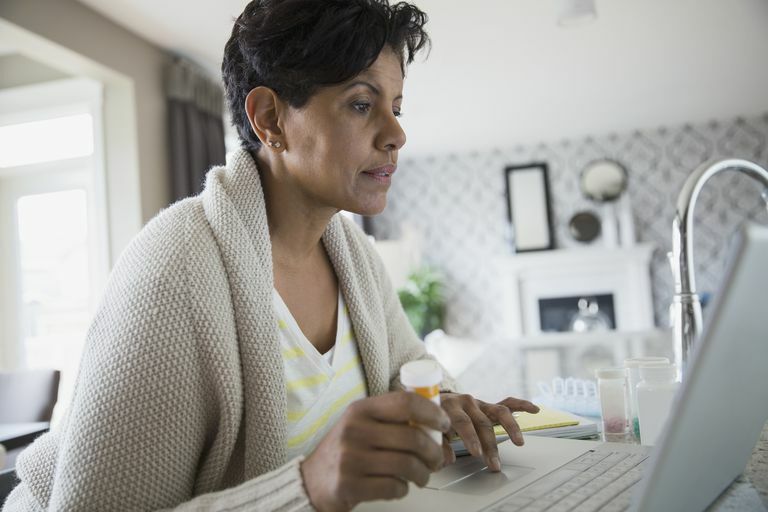 People on ACE inhibitors should check with their health-care providers before starting any new medications.